Spaghetti Dinner (March) - This annual event affords many opportunities to get involved. There are many ways for you and your family to serve others in this wonderful ministry. Christmas Tea (November) - Altar Society's only fundraiser has many volunteer opportunities including, but not limited to, committee work, donating baked goods, raffle ticket sales, clean up, making lefse, etc. Meals at Northlands Rescue Mission - Prepare/serve a meal in the Fall and Spring. Holy Family - St. Mary's Dinner for Winners (February) - Yearly fundraiser benefiting our school. Many opportunities exist for service. 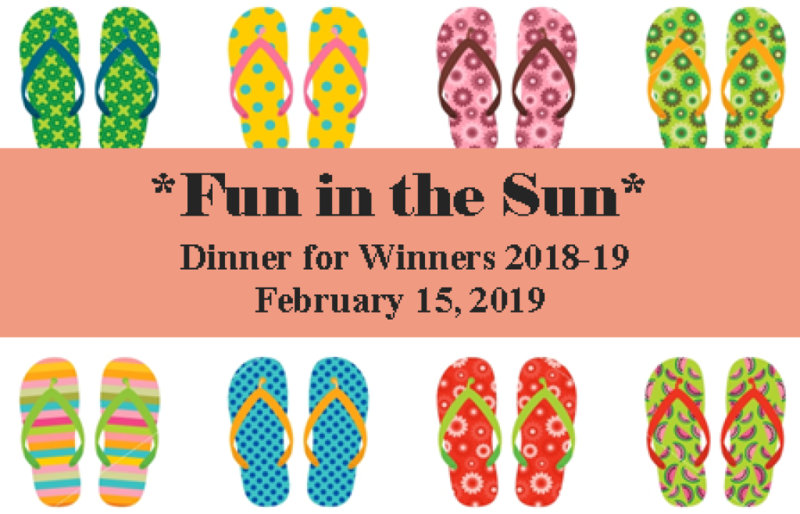 Dinner for Winners 2018-19 is scheduled for February 15th, 2019 with a theme of 'Fun in the Sun' (Beach Party! ).